I was just over at my personal Facebook profile and I caught a quote from a friend of mine there, she's not really a friend, just someone that FB-friended me. I won't mention her name in respect for her privacy, I didn't address the comment at Facebook either. 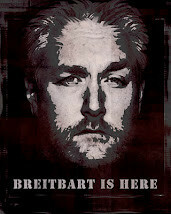 “The current Tea Party movement doesn't know much at all about the founding principles of the Republican Party. They are better suited for the Libertarian Party in their views. Real Republicans, who stand behind federal laws that protect basic human dignity, should stand against those who don't even know what a RINO is because they don't know what a Republican is. The person that authored this quote is a devout catholic and self-described "moderate" Republican. She was also a critic of Rand Paul many months before the election - to the point of moonbattery. I hope and pray that what she says is true, I hope that Tea Partiers don't know or even care about the "founding principles" of the Republican Party. Tea Party activists believe in the Principles of Founding of the Country and if that is "libertarian" then libertarian am I! “I have little interest in streamlining government or in making it more efficient, for I mean to reduce its size. 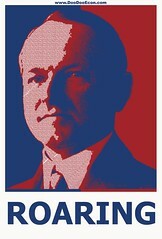 I do not undertake to promote welfare, for I propose to extend freedom. My aim is not to pass laws, but to repeal them. It is not to inaugurate new programs, but to cancel old ones that do violence to the Constitution, or that have failed their purpose, or that impose on the people an unwarranted financial burden. I will not attempt to discover whether legislation is "needed" before I have first determined whether it is constitutionally permissible. And if I should later be attacked for neglecting my constituents' "interests," I shall reply that I was informed that their main interest is liberty and that in that cause I am doing the very best I can. 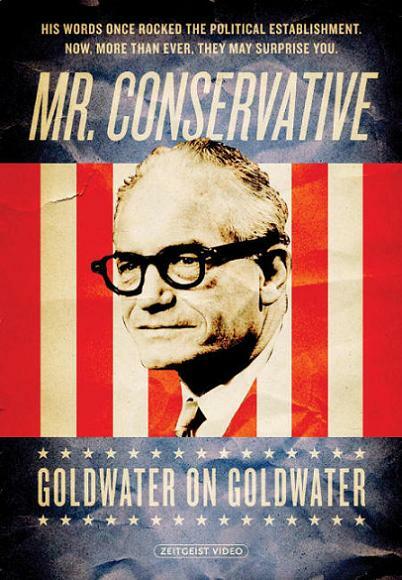 Damn we need a man like Barry Goldwater again. His loss was the nation's loss. As the song goes: I Second That Emotion. My my my, how times have changed, and for the worse. Hopefully the Tea Party will put us back on the proper course. 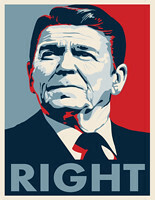 Read The Conscience of a Conservative twice. A great book by a great conservative. There are too fwe like him today.